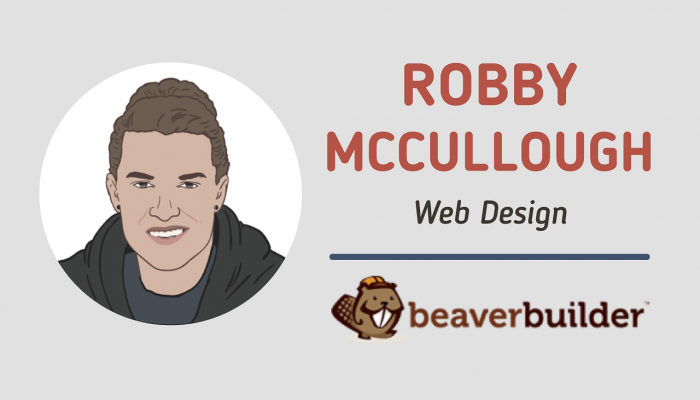 Robby McCullough is a Silicon Valley native and co-founder of Beaver Builder, a drag-and-drop design framework for WordPress. Robby enjoys fishing, hiking, and a good cup of coffee. You can find him in person on the mountain bike trails or virtually on Twitter. Please tell us something about yourself and Beaver Builder. How you ended up starting an online business? I’ve always had a passion for computers and technology from a very young age. I started applying that passion to the web in my late teens/early twenties. Making a website, throwing some ads up, and watching real money come in was such a wild experience. I had a good friend who went through the Y-Combinator incubator program, and I started following Hacker News. I think that is where I got bit by the “entrepreneur bug.” I’ve always wanted to start a company. It wasn’t until I met Justin and Billy that I actually learned about what starting a real company is all about. Throwing ads on a website is one thing, but hiring people, paying salaries (and taxes), and managing clients and customers was a whole new challenge. I worked for them for several years, and then we decided to partner up on a side project. That side project is what eventually turned into Beaver Builder! How long did it take to come up with the right domain name? Well, it took a long time! When we launched Beaver Builder it was called The FastLine Page Builder. After a few months (when we weren’t getting a lot of attention or traction), we decided to rebrand. The process of choosing a new name took several weeks, but once we thought of Beaver Builder, it took all of 1-2 hours to decide that was “the one.” Then, we just had to convince ourselves that wasn’t going to be a really bad idea to use such a playful, goofy name! Luckily, the WordPress space is pretty casual and forgiving, so we’ve been able to get away with it! 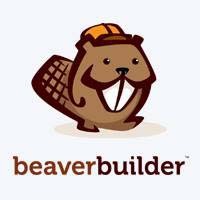 How do you promote Beaver Builder? We’re really learning as we go there. The product itself struck a chord, and word of mouth has been one of the largest growth avenues. As we’re getting more familiar with the product space and product marketing, we’ve been exploring with advertising, promotional sponsorships, attending conferences, and things of that nature (guest blog posts and interviews 😉 ). 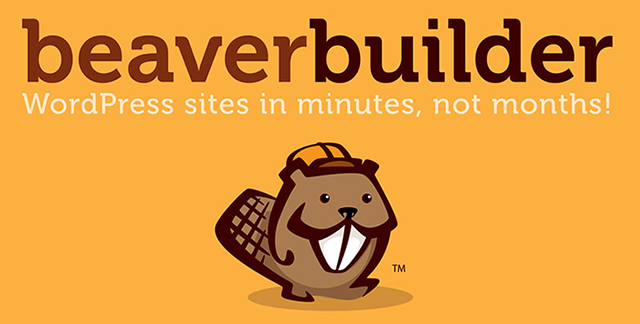 Another big one is the free version of Beaver Builder in the WordPress repo. We didn’t launch with a free version, but later decided to create a limited version of the tool for the repo. It recently hit 50,000 active installs, and it’s been an amazing catalyst to get our name out there. Support. Hands down, that has been one of the best ways because that’s where we really talk to people and get to know them. Especially starting out, we came from a client services/customer service background, and we knew the value in taking good care of people. From the beginning, we’ve made an effort to really provide the best support we could. Day to day, we talk more customers in our support forums/emails than any other medium. Later on, we’ve had this amazing community blossom around Beaver Builder. Both our Slack Channel and Facebook Group were created by members of the community. I wish we could take credit for those, but we probably never would have had the idea ourselves—and both of those communities are really thriving. Hmm. It’s hard to answer that one. Success is relative, right? Maybe part of it is that we’ve made some huge growth and progress in this last year, but I still feel like we’re just getting started. My todo list is longer than ever, and I am more excited now to work on Beaver Builder than I’ve ever been. The more people that are using Beaver Builder, the more responsibility I feel like we have to make it better and continue growing. Sorry, that might not be three things, haha. What do you think the most important part of building your brand was, in retrospect? Our logo, name, and mascot. There’s a good handful of page builders out there, right? We see a lot of list posts like, “The Top 10 Page Builders for WordPress.” Imagine as you’re scrolling through one of those lists and you see our cute little beaver mascot! I think it stops folks in their tracks. It begs you to take a closer look. Do you have any advice for novices starting their own websites? Hmm. The question actually has the answer in it: start your own website! 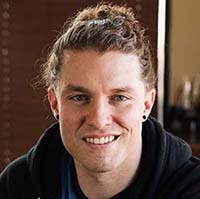 I love CSS Tricks and Chris Coyier’s podcast, Shop Talk Show. One question comes up all the time is, “How do I learn X technology?” The answer is always the same. He always tells people to just go out and build something. Reading and studying is great, but I think you’ll always learn more in the context of a real project. Even if it’s something small or if you’re recreating something that already exist. Just get out there and start building. If you can base a project around something you’re passionate about, it makes it all that much easier. Ooh, yeah! That’s a good one. Well, I mentioned the free version of Beaver Builder earlier, we’re making a big push to get the free version in more sites. Particularly, we’re working on some features for theme authors that will make Beaver Builder a great choice to bundle with a theme. Also, we’re just about to launch several new layout templates. We’re working with a very talented designer to build those, and they’re just stellar! I really can’t wait to get them out the door because they’re some of the most beautiful Beaver Builder sites I’ve ever seen. Plus, anyone will be able to use the designs as a template for their website! I just started using this delivery service called SunBasket. There’re a few similar services popping here in the States, but the premise is that they deliver a box full of ingredients and recipes. So instead of having to plan out a meal, they send over just the right amount of every ingredient and a recipe. It’s way cheaper than eating out, and it’s so nice to have home cooked meals again!